New noise limits have been put in place by OHV organizations in an effort to stop the flow of noise complaints that could lead to even stricter limits being enforced by the government. Some government-imposed limits can be so strict that they can effectively end motorized recreation in designated areas. It's already happened in parts of California. It's up to you to keep your vehicle below these standards. 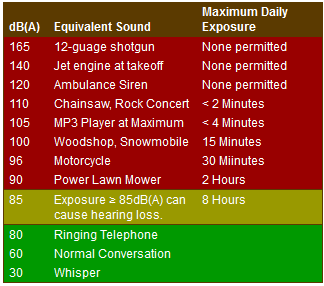 Limits of 96 decibels are attainable, especially with stock equipment. Look for aftermarket exhaust systems that are rated for 96dB or below. Remember that louder doesn't mean faster. In the spring of 2008, the state of Colorado enacted a law requiring all ATVs and dirt bikes operated on public lands in Colorado to meet a sound limit of 96dB(A) measured using the SAE J 1287 20" stationary sound test. The law took effect on July 1, 2010. During the summer months, Stay The Trail Colorado hosts events around the state where you can get your ride tested for compliance with the new law. Check out our event calendar to find an event near you. Most vehicles will easily meet this standard. When shopping for aftermarket exhausts, be sure to look for models that will comply with the new sound limit. For detailed information on what changes in the law happened in Colorado, please refer to this short leaflet on sound levels in Colorado. Use the appropriate exhaust system for trail riding. Race systems are smaller and have less packing material inside to absorb the sound. Make sure your muffler/silencer is repacked regularly and properly. Packing does go bad over time and makes your machine louder. Not all the sound comes out of the exhaust, if you've vented your airbox or removed the lid, close it back up. Loose bolts can also rattle and add to the noise, keep them tightened. Also be aware that keeping your machines's sound levels as low as possible will keep your own hearing damage to a minimum. 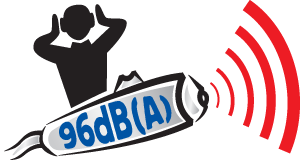 Prolonged exposure to noise levels above even 85 dB can cause gradual hearing loss. Spark arrestors are required on ATVs and dirt bikes. *Data compiled from CDC and CDC sources. Data presented for informational use only and must not be used to determine any permissable exposure limits.